Many years back when computers weren’t as advanced as they are now, we had monitors that displayed only one colour on a black background. These monitors were known as monochrome monitors. Here’s a short tutorial that shows you how to get a monochrome command prompt window in Windows 7. Firstly, click on the start menu and in the search box type cmd and hit enter. 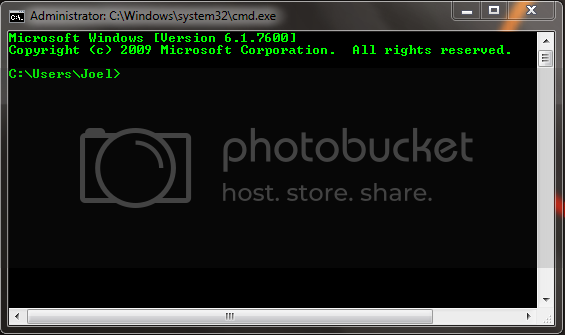 Now, command prompt window will launch. Right click on the title bar and click on properties. 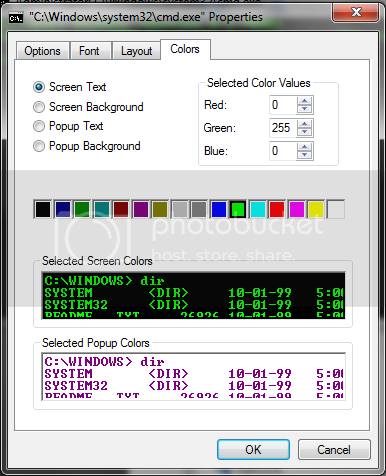 In the Properties window, click on the colors tab and click on the screen text button. On the right hand side, under selected color values, change Green to 255. Once done, click ok. This should change the text of the command prompt box to green. It will look some like the above. Voila! You now have a monochrome command prompt box.